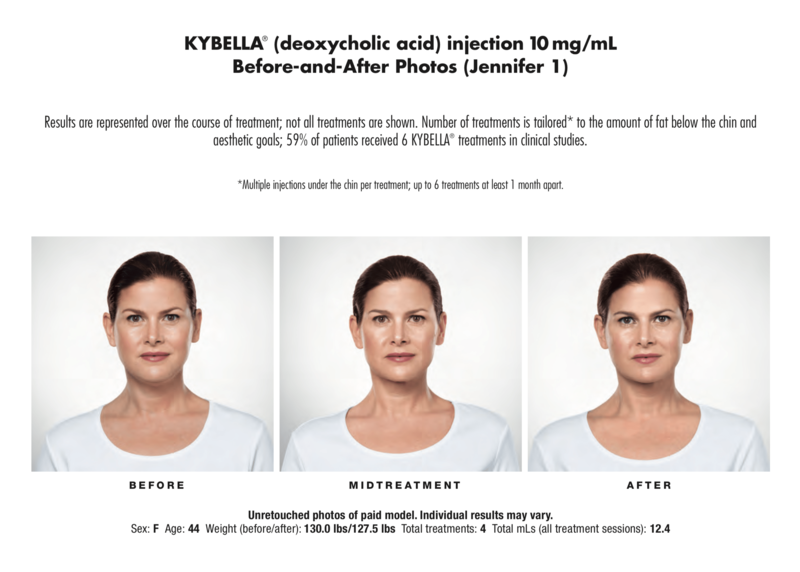 The KYBELLA®solution has been formulated to break apart the fat particles that accumulate beneath the chin. 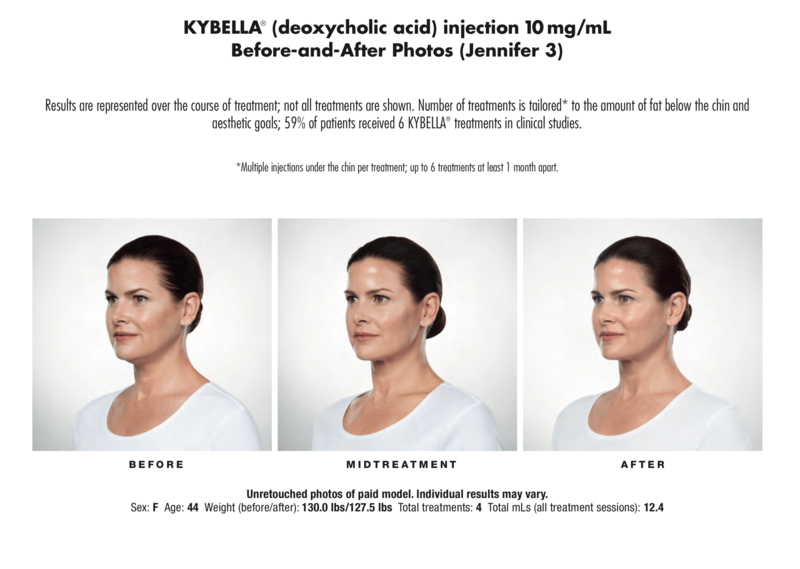 Based on deoxycholic acid, Kybella works with the body and its natural tendencies to metabolize fat. 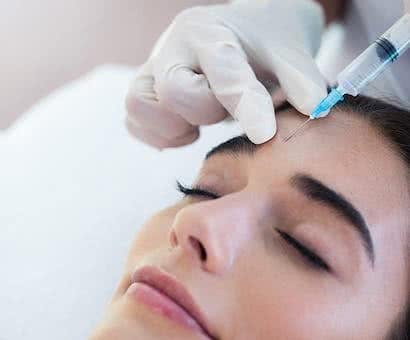 Through a series of precise injections, fat cells become flooded with this substance, and subsequently melt away. Currently, this solution has been approved only for submental fullness. 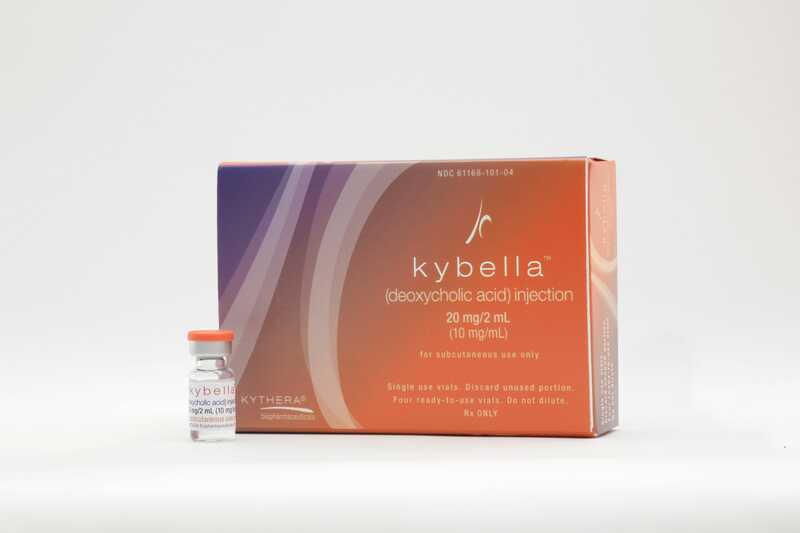 If you are pregnant or plan to become pregnant (it is not known if KYBELLA® will harm your unborn baby). If you are breastfeeding or plan to breastfeed (it is not known if KYBELLA® passes into your breast milk; talk to your healthcare provider about the best way to feed your baby if you receive KYBELLA®). Trouble swallowing and Nerve injury in the jaw that can cause an uneven smile. Swelling, Bruising, Pain, Numbness, Redness, Areas of hardness in the treatment area. 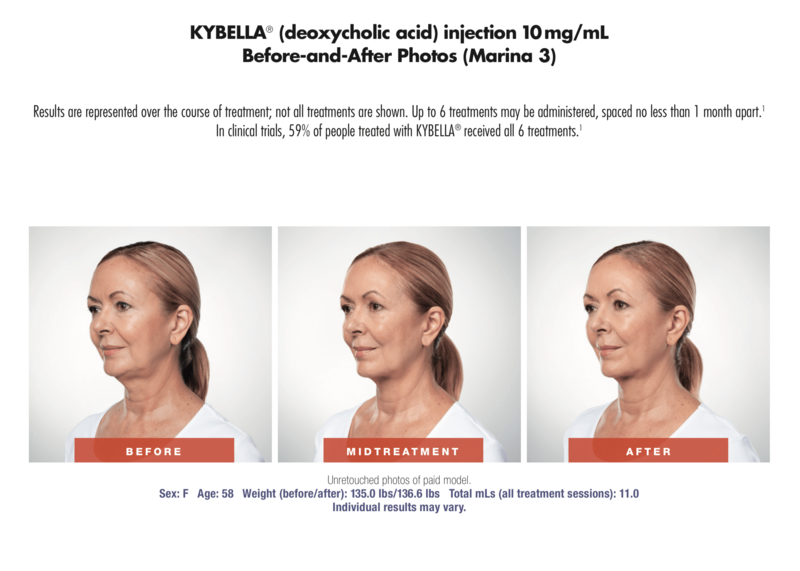 These are not all of the possible side effects of KYBELLA®. Call your healthcare provider for medical advice about side effects. 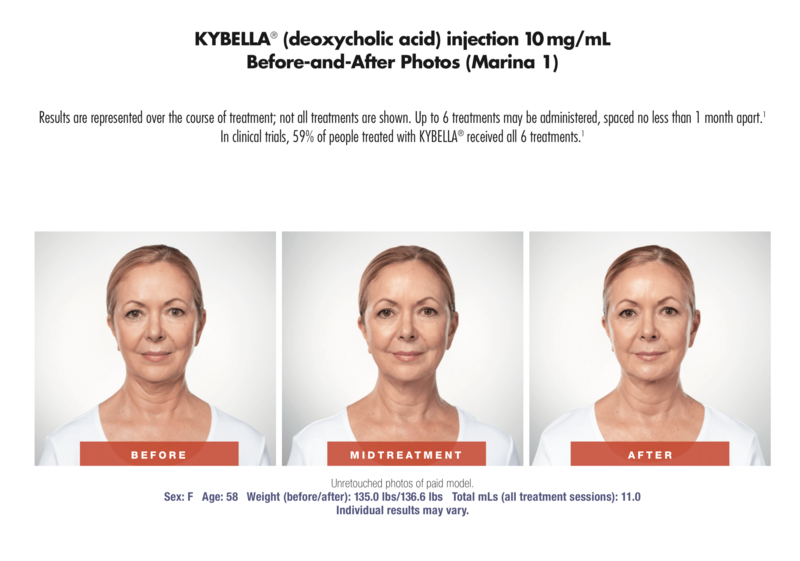 One significant way in which Kybella differs from plastic surgery is that multiple treatments are necessary to achieve the desired result. Most patients begin to see a positive change in their profile in the first few weeks following their initial injections. Subsequent treatments are scheduled approximately 6 weeks apart. 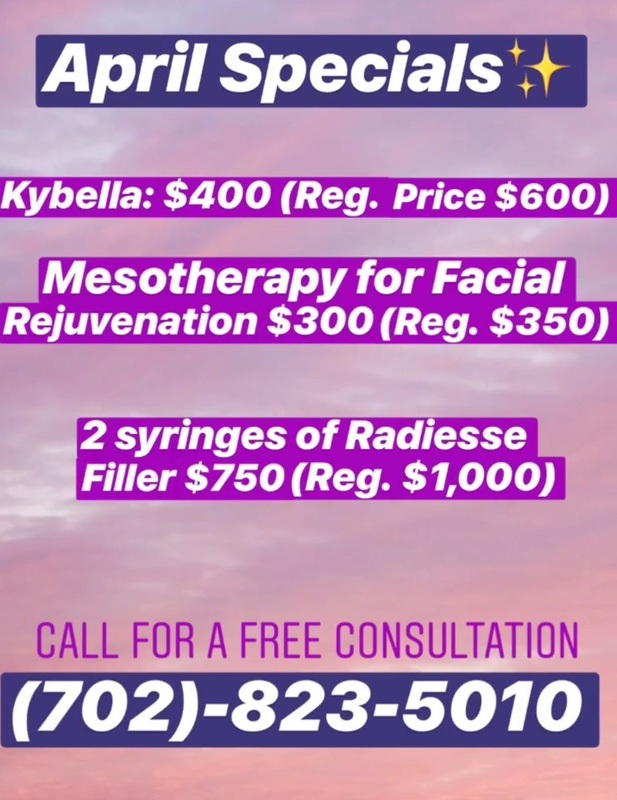 Optimal results may be achieved and 2 to 4 appointments. 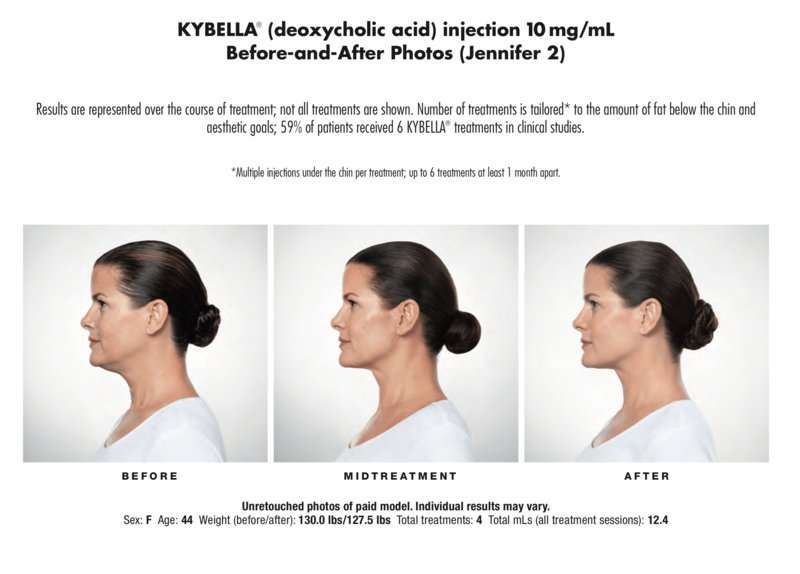 A significant advantage to the Kybella process is, like plastic surgery, treated fat cells are eliminated. 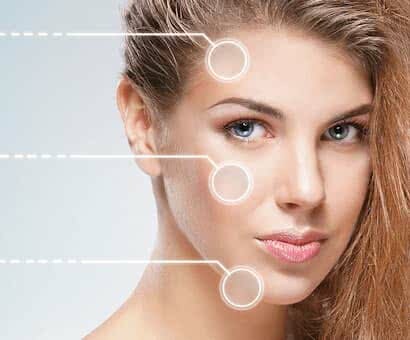 This can lead to permanent, beautiful results that are generally easy to maintain. 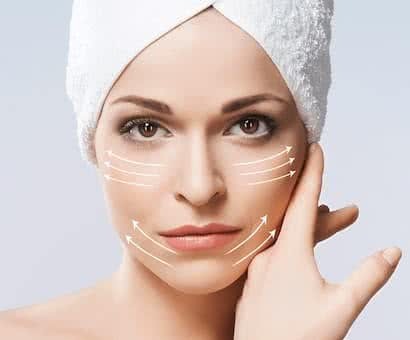 Patients are encouraged to implement healthy lifestyle habits that will support their investment into a sculpted slim jaw line. 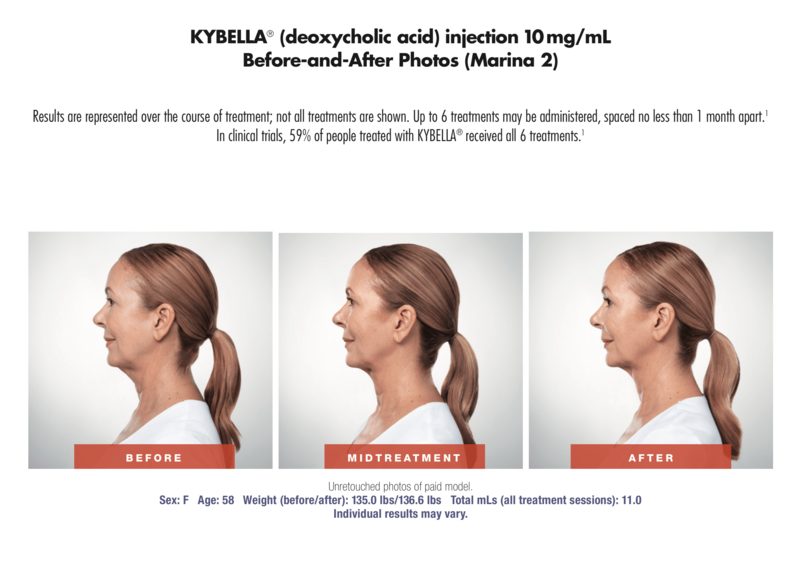 An important consideration made before Kybella treatment is the condition of skin on the neck and chin area. 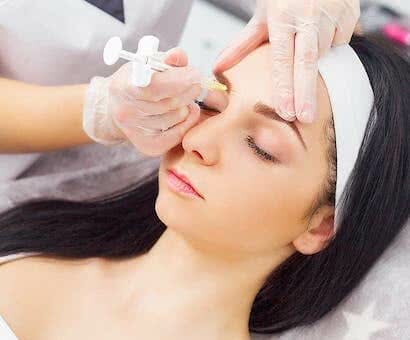 In many cases, the skin naturally tightens following the series of injections. 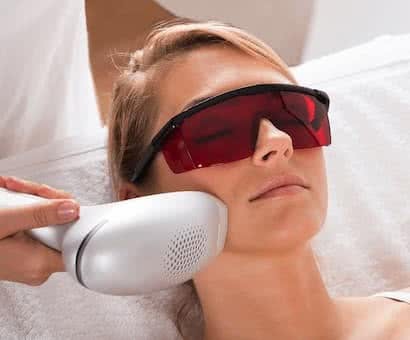 However, patients with a great deal of laxity, or loose skin, may require further treatment to tighten sagging tissue. 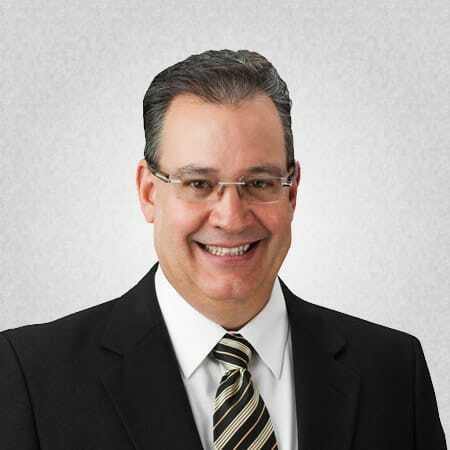 During your consultation with Dr. Lee, laxity is an issue that will be evaluated and discussed. Our goal is to provide you with the information you need to know what you can expect from your treatment plan.